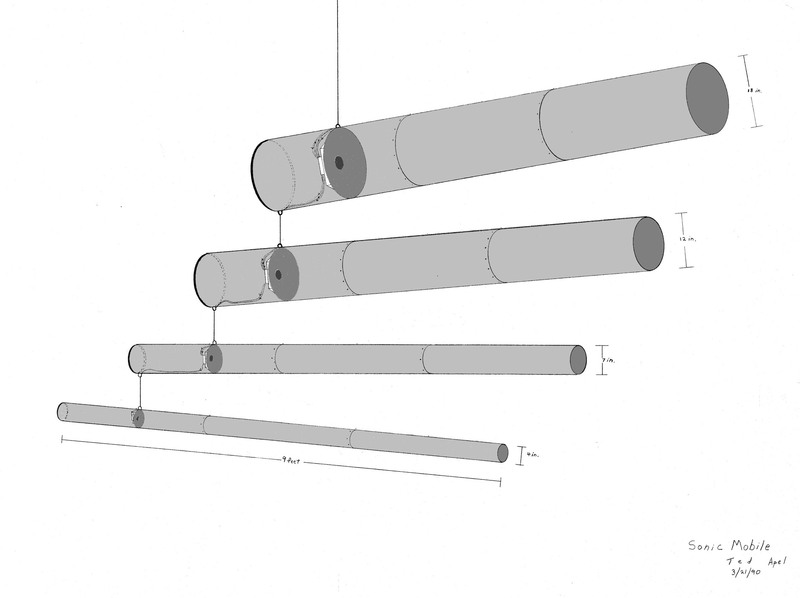 Four tubes with speakers are hung as a mobile. Four channel tape composition created on the Samson Box at CCRMA. Play a sample of Mobile 4.